Slick, fast and professional - this website design is flexible allowing a grid or list style stock page. 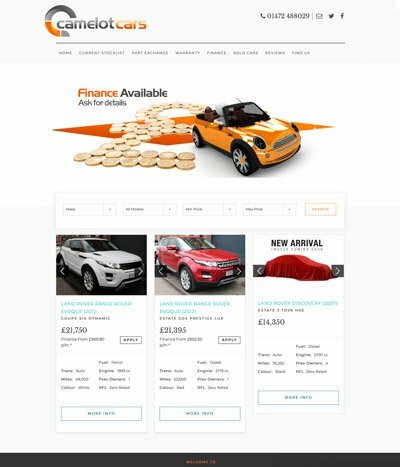 Include a featured car on the homepage if you wish. The combination of fonts and the simplicity of the design makes this design really stand out. A funky and edgy design which is far different to the norm. It features colourful gradients with strong, sharp lines and screams the year 2018 - include car of the week on the homepage should you wish. As per the Upper Class design but with a white background header. Slick, fast and professional - this website design is flexible allowing a grid or list style stock page. Include a featured car on the homepage if you wish. The combination of fonts and the simplicity of the design makes this design really stand out. 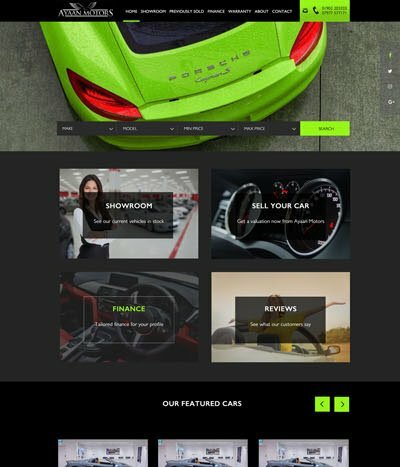 A dark background website design featuring bright colours. A simple yet strong design which uses the colours to make the website really punch. If you have bright colours in your branding, this design is for you. It features a spilt coloumn design for the homepage text. 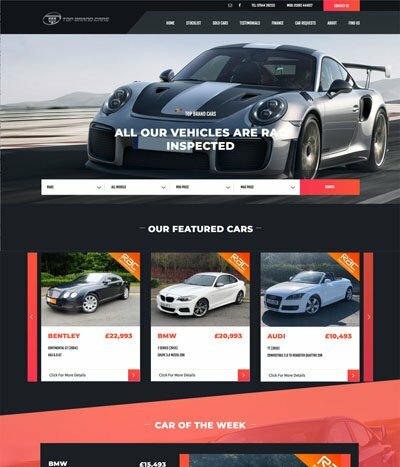 All new Car Dealer 5 websites are GDPR compliant, obviously responsive across all devices and look amazing. Car Dealer 5 offer great flexibility. Changing the colours on any theme is instant. 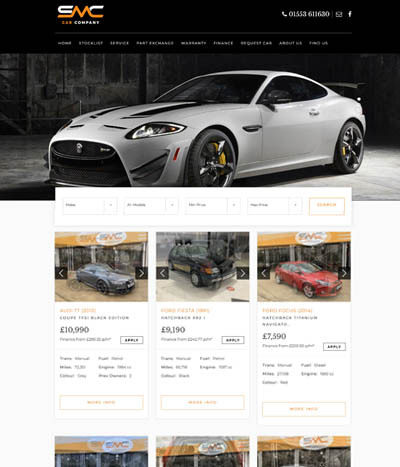 Due to the way the new website designs are structured, Car Dealer 5 can have a Super-themed website up and running from start to finish within two hours. * £650.00 per year includes 60 VRM credits on signup.